This is such an easy dish using some of the best veggies and herbs from the garden. 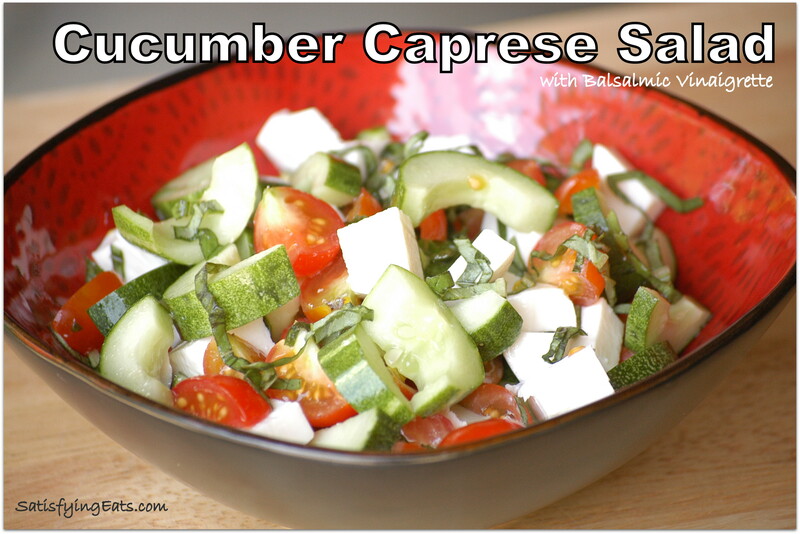 The cucumber takes this caprese salad to the next level. I eat this with a spoon so I can be sure to get all of the balsamic vinaigrette out of the bowl! In pint jar, blend the ingredients for the Balsamic Vinaigrette. In a separate bowl, add the ingredients for the salad. Pour the Balsamic Vinaigrette over the salad and stir. Nothing better than fresh ingredients from the garden! 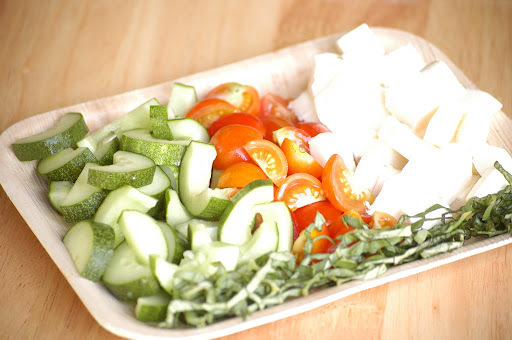 This is my favorite salad in the world–but anything with fresh basil in it rings my bells! I've used red AND yellow tomatoes together in this salad–so pretty–but I've never tried cucumber, which I will do next weekend. Do you ever peel your cucumber in this salad? Does it make a difference? Love your blog! Thanks Pearl! Caprese Salads are awesome! What's not to love about cheese and tomato and balsamic vinegar! The cucumber was my summer spin since I have so many coming from my in-laws. I kept the skin on for color and texture! Very refreshing! I’m making this right now and it looks amazing!! Thanks!